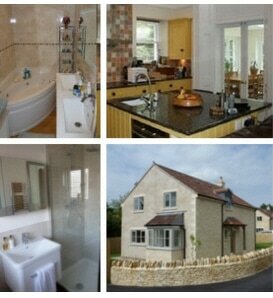 ​Colman Building Contractors undertake building services on both residential and commercial properties. With a combination of the professional understanding of the management team together with the skills, knowledge and experience of the workforce, the company has the ability and confidence to complete good size maintenance jobs right through to larger more complex building projects. Although the company has grown over the years, we are still interested in the carrying out ongoing maintenance contracts such as maintaining blocks of flats. We consider that small jobs are just as important and are carried out with the same attention as the larger more demanding projects. The team at Colman’s can provide the solution for building an extension, sympathetically repairing a church to undertaking the complete renovation of a period property both internally and externally. Click on the images to view some recent case studies.